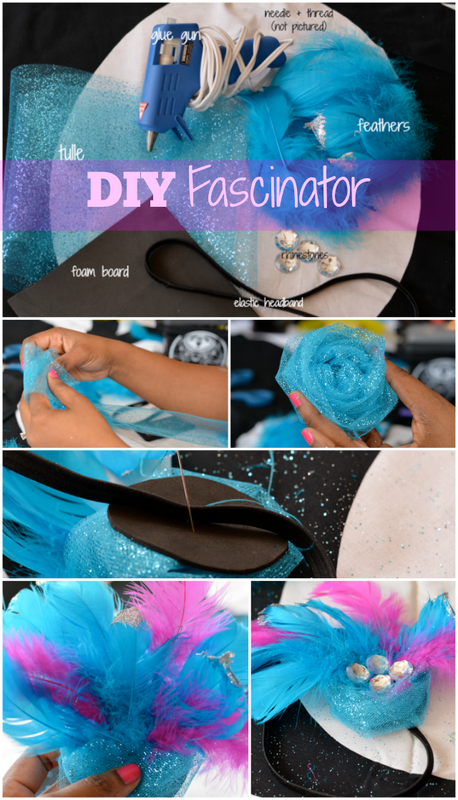 Here's a quick tutorial on how to diy your very own fascinator. I've been a fan for quite some time. I made a few some years ago with a plastic headband as base. The stretchy headband works out so much better. It's sturdier for my heavy locs. The feathers would fly off of the headband every time I took it off. You can go extra derby style with lots of feather or tone it down with just a few. My fascinator pinspiration photo on the left is more subdued and appropriate for an everyday look. As you can see the inspiration, the old one, and the new one all vary so go ahead and experiment to find the right version for you! I was able to knock out the current one in 30 minutes. I tried it on several times along the way to make sure the feathers were where I wanted them. Cut a piece of foam board into a circle. I used my camera lens cap as a template. Cut off a strip of tulle. Mine was approximately 12". Fold tulle lengthwise and then roll it so that it looks like a cinnamon roll. Flatten and shape it. 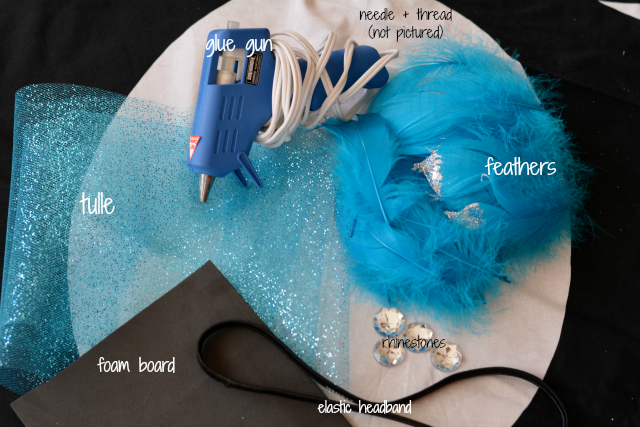 Glue tulle to foam board. Let it dry a bit. Stitch to headband. Inserting needle threw top of "flower"and going through all layers. Stuff feathers between folds of tulle placing the tips toward the center. Glue rhinestones over center and allow to dry. 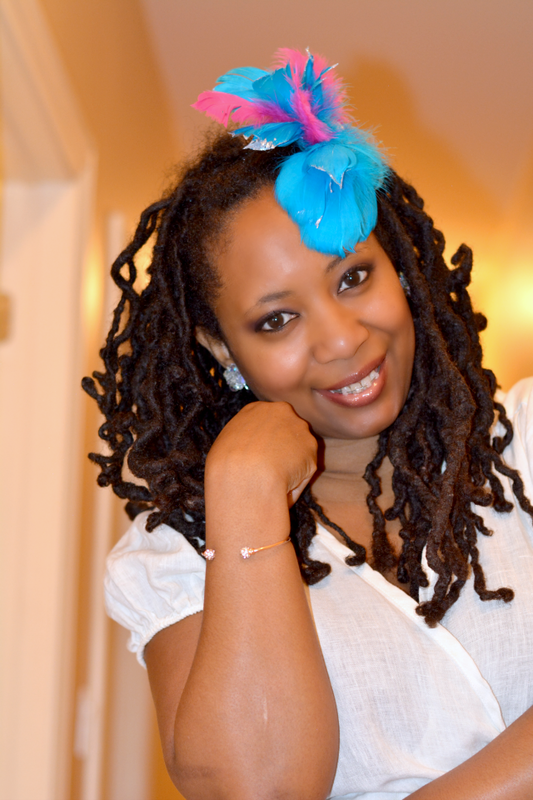 Are you fascinated by fascinators? Have you entered the Good Earth giveaway yet? What about Cottonelle Great Finish Sweeps? 15,000 winners will receive free toilet paper and cleansing cloths for a year! I love in KY, so the derby is big here. While fascinators still aren't on the level as the giant hat, I love them and think they work better! They are whimsical and fun.